There are no girls in that pit. Spring break fail. 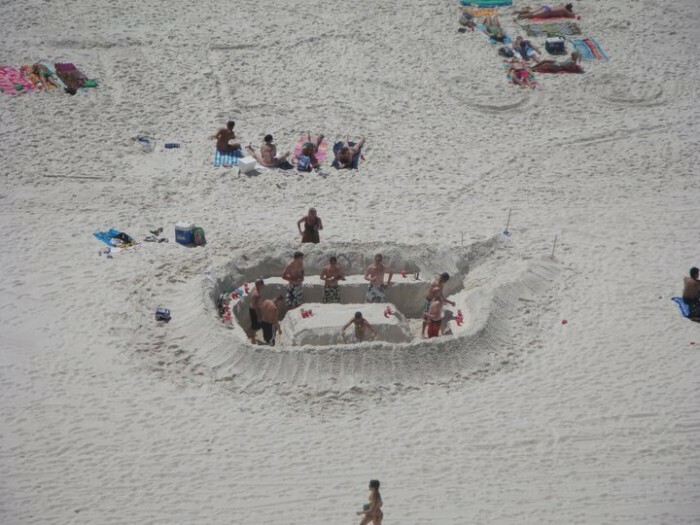 Its not a pit… its a sand bar. Yeah, the blatant “Jesus” written in the sand above them seems to indicate it’s a juice bar. Goddam Jesus freaks. If they are Mexico, Jesus could be the bar owner since it’s a comon name there. If it’s in FL or something, then Goddam Jesus freaks, yes. I believe this to be correct, upon further inspection.